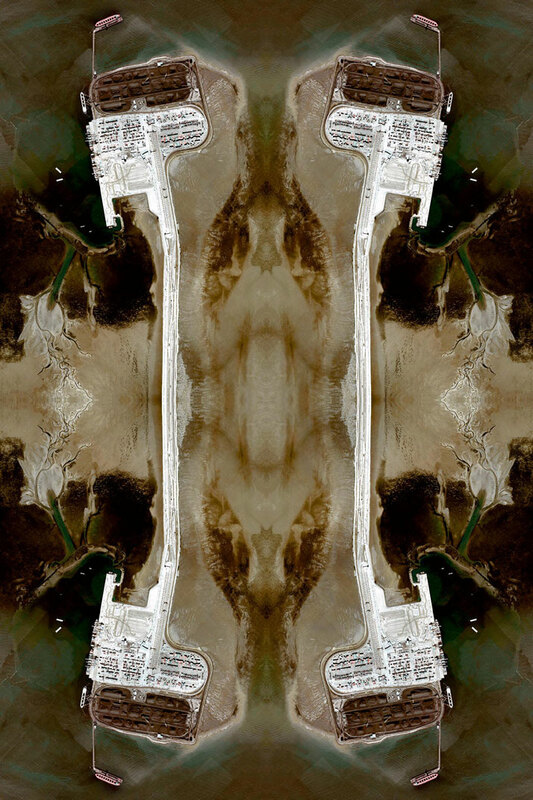 Can Google Maps’ aerial photography be turned into impressive ornamental artworks? 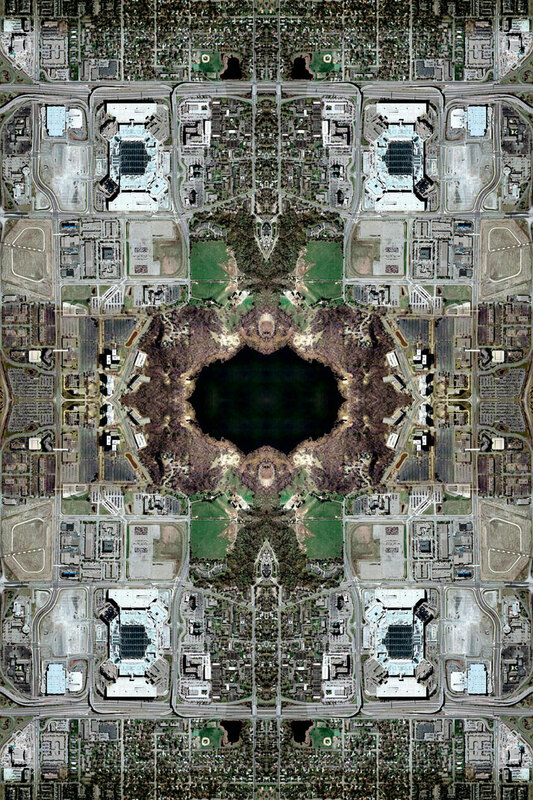 Dublin-based photographic artist David Thomas Smith answers this question as he invites us to reconsider how we see landscapes from above in ‘Anthropocene’, his stunning and highly acclaimed new photographic series currently on display at The Copper House Gallery in Dublin, Ireland until 23 May, 2013. With his background in documentary photography, Smith likes to draw attention to socio-economic and political issues through his work, all the while exploring an array of more metaphysical concepts. 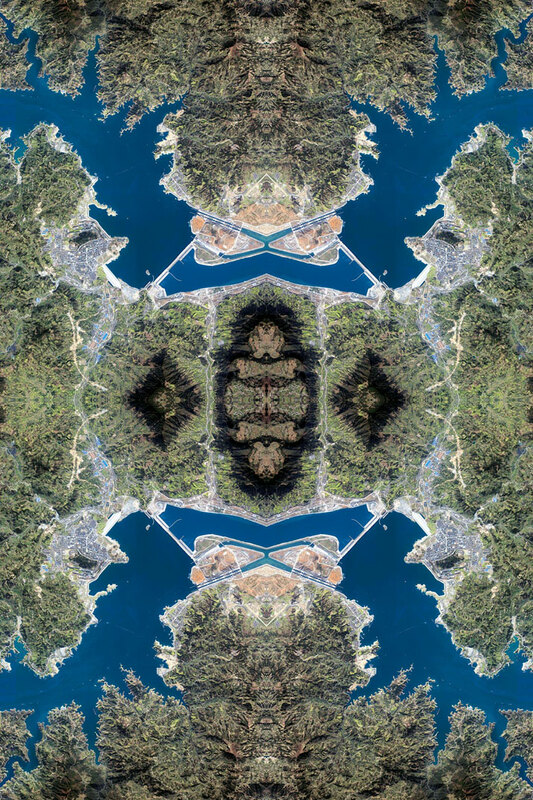 In ‘Anthropocene’, he ingeniously reshapes geographic norms whilst referencing the impact we have on our natural landscape and our ability to shape the face of the Earth in any way we see fit. 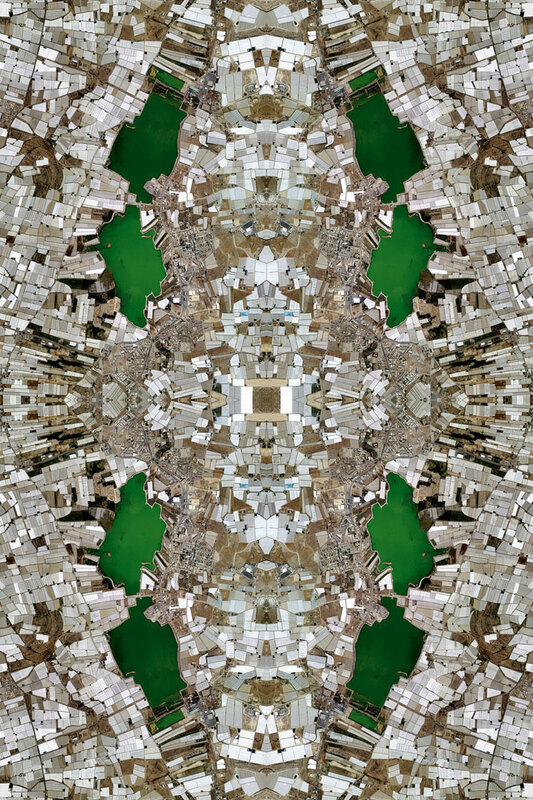 Derived from an informal geologic term that marks the evidence and impact of human activities on the Earth’s ecosystems, ‘Anthropocene’ examines global landscapes that have been transformed by the actions and activities of mankind. David Thomas Smith carefully chose the places, depicted in his work, based on their social, economic or political importance in the world as well as their aesthetic value. 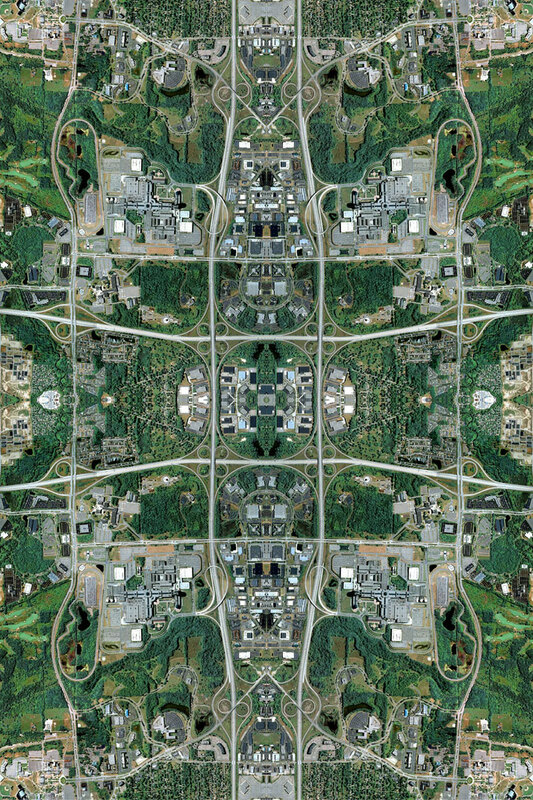 Centres of global capitalism, associated with industries such as oil, precious metals, consumer culture and excess are now transformed into symmetrical aerial view representations of re-imagined landscapes. 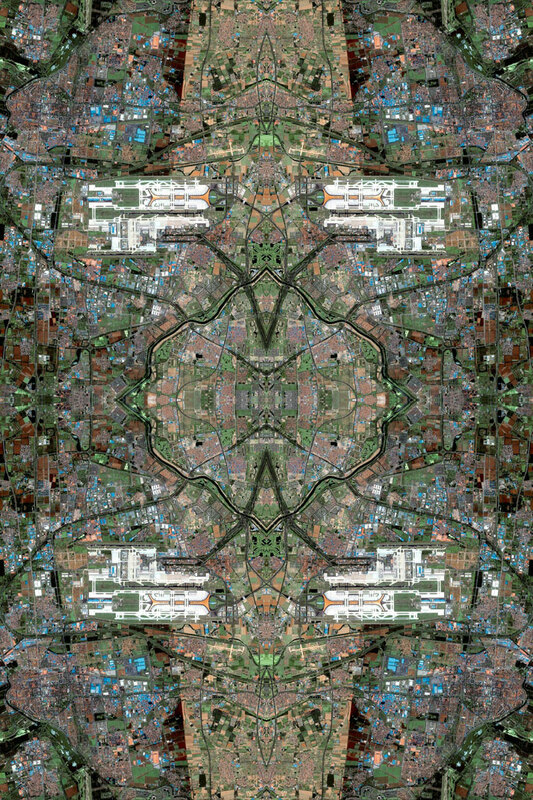 Each image is meticulously assembled from thousands and thousands of thumbnails which are extracted as screen grabs from Google Maps. 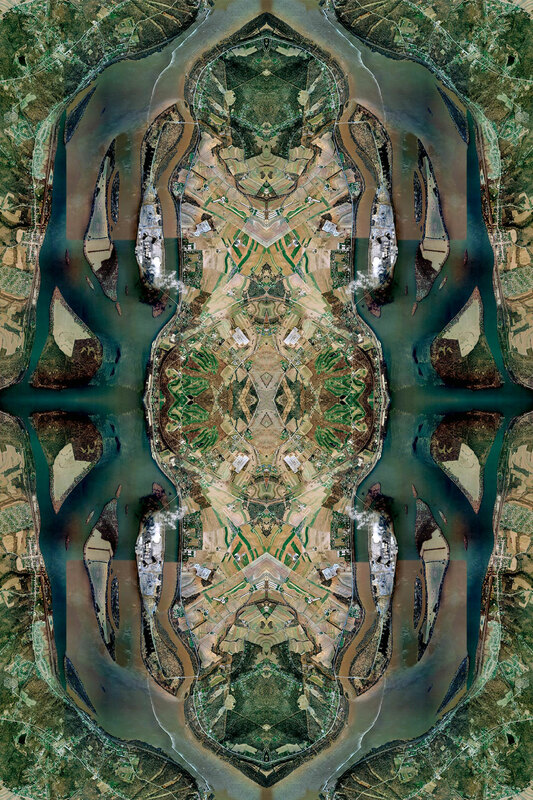 These thumbnails are then digitally stitched together to produce intricate images of impressive scale and detail. 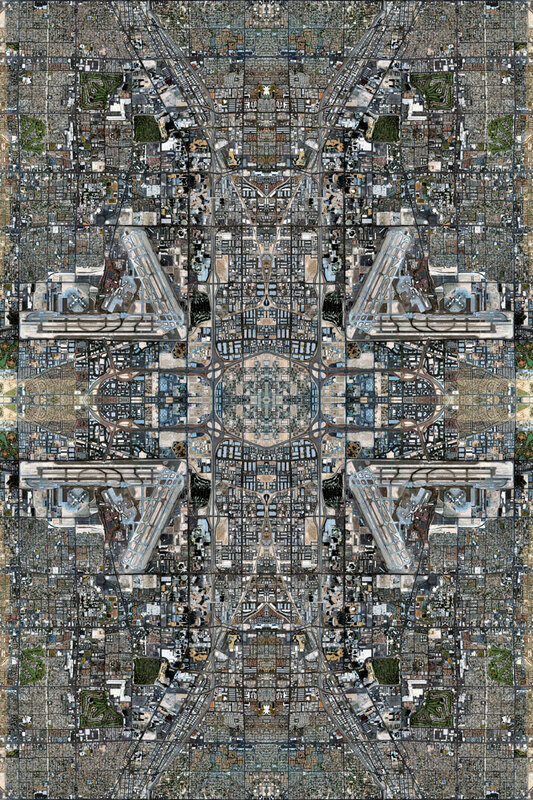 A myriad of seemingly insignificant coded bits of geographical information are then seemingly sown together piece by piece like knots in a rug to reveal a grander spectacle. 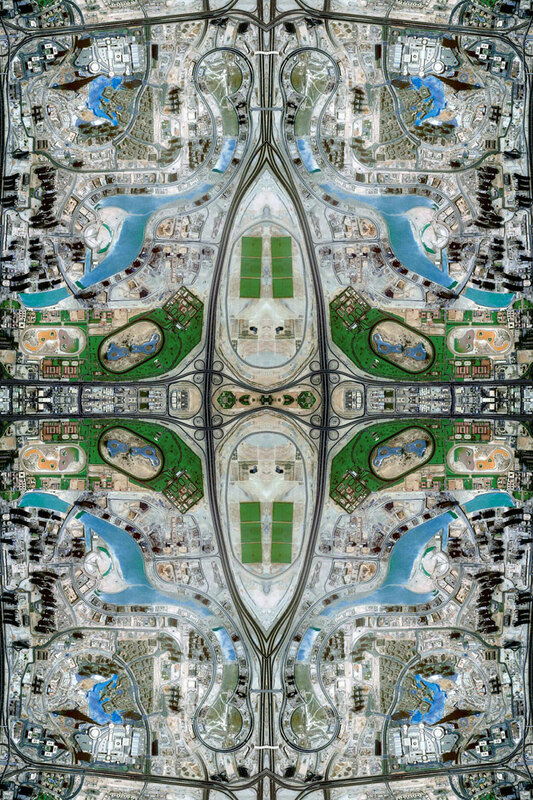 Aesthetically influenced by the way Afghan war rugs document and portray war scenes and experiences, Smith beautifully manipulates aerial views to create re-imagined geographies that reflect on the new world order. 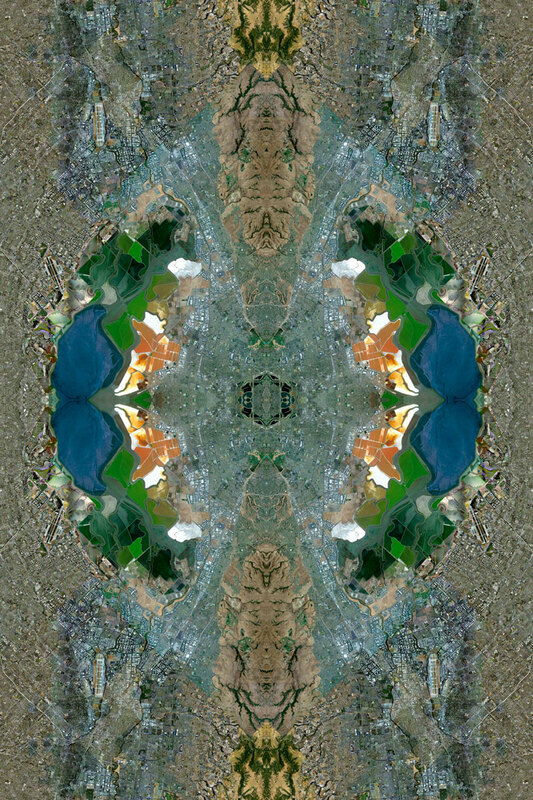 From afar, the images may appear abstract and ornamental, yet upon close inspection, they begin to reveal all sorts of new-found contexts and topographies. Appropriated imagery is a predominant feature in Smith’s work, as he finds it a rather fitting way to work in a world that has become awash with images. 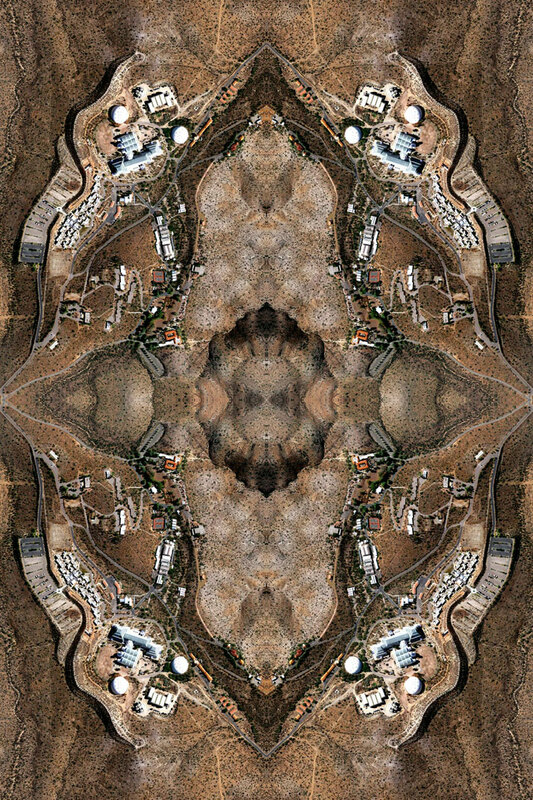 For him, it’s all about taking existing images and giving them new meaning by tampering with man-made urban landscapes and geographic realities. 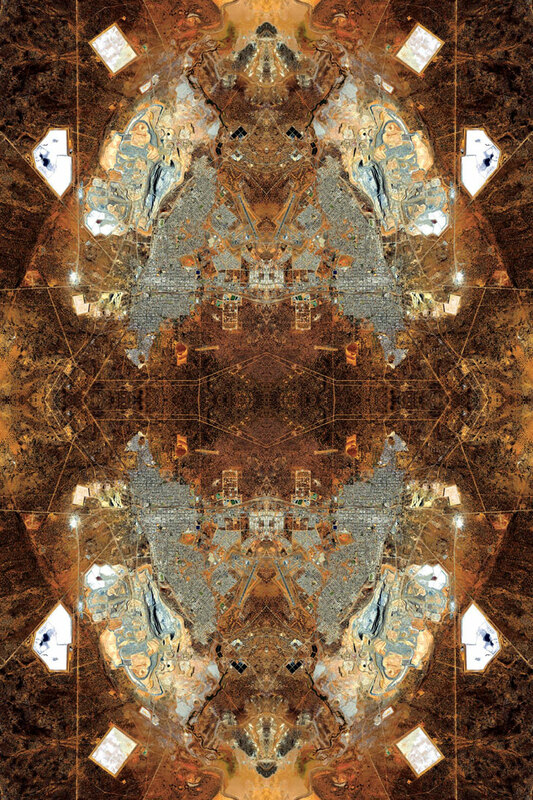 In a series of impressive multi-dimensional images David Thomas Smith offers us the chance to ponder on the impact that the complex infrastructures of our ever-growing society have had on the natural landscape, in turn implicitly asking us to reflect on and maybe reconsider our own position and role within the world itself.